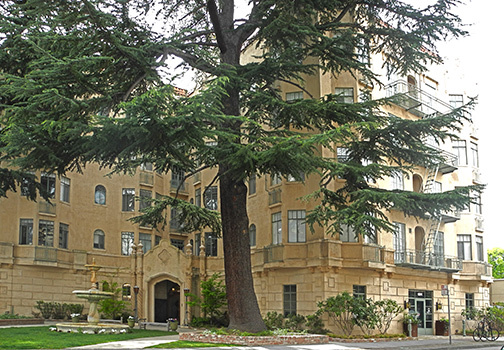 Physical appearance: This five–story Spanish Colonial Revival apartment house has a Moorish dome, not visible from close–up, which is a prominent visual skyline landmark of the area. 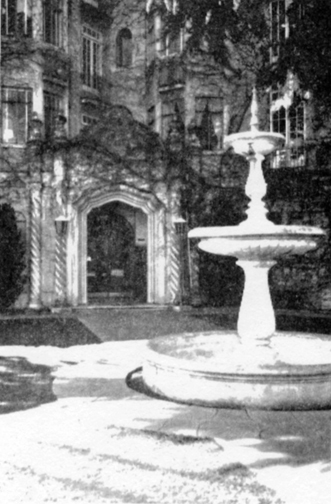 The Churrigueresque entrance and a forecourt fountain provide the necessary period chic. 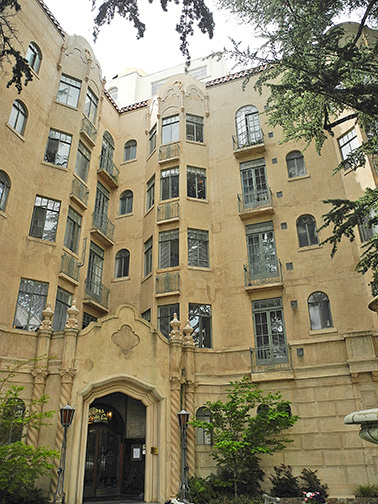 It contained 85 two and three–room apartments. Significance: This is a fine example of an urban form and a prominent visual landmark. Its modified Moorish Revival parapets combine with churrigueresque ornament to relate it to others of the area. 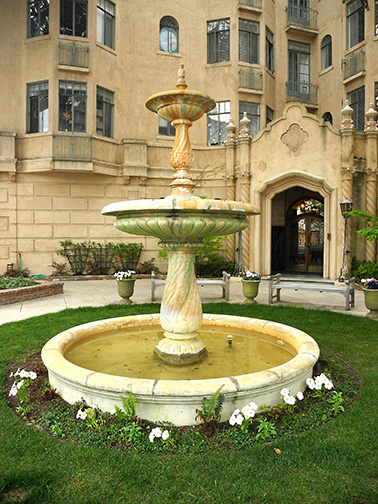 The L–shaped form of the building allows its corner site to become a miniature plaza/entry garden complete with fountain and special landscaping. This careful siting enriches both the building and the streetscape. Note: The building received a Palo Alto Stanford Heritage Preservation Award in 2017 for the rehabilitation and restoration of this structure. 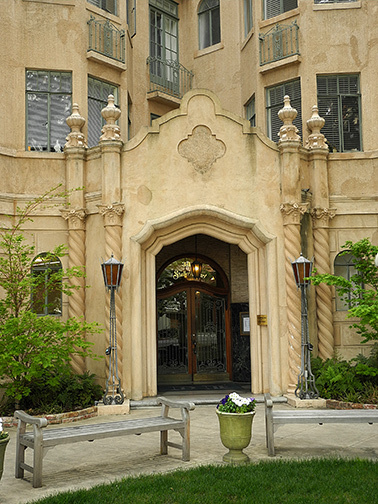 This apartment house was built in 1927 and is a Category 2 on the Historic Buildings Inventory. 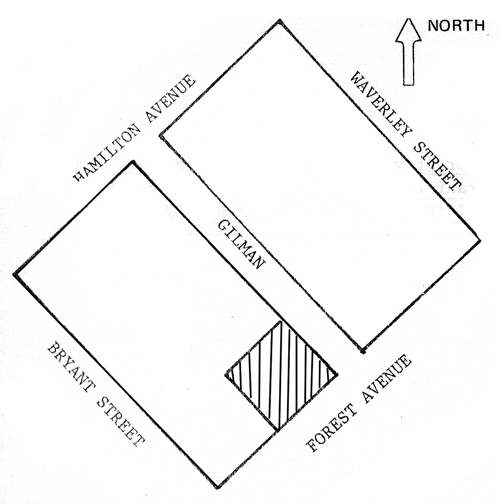 The architect was J. C. Hladik from San Francisco and the builder/owner was Wm. Staller of San Francisco. The property measures 112 by 100 feet.